Imagine walking into a Tuscan-style stone building in the heart of the charming town of Yountville, within walking distance of the celebrated French Laundry and other Michelin-starred restaurants. It's intimate and inviting, with a warm and beautifully appointed living room, dining room and library. There's no tasting bar, no rush, no standing on your feet. You're in the private home of a small family winery, and you're greeted by a friendly, knowledgeable host, who invites you to make yourself comfortable and settle in for a relaxed tasting of outstanding wines. Now imagine this: Just about everything you're admiring all around you—from the art and decorative accents to the furniture and floor coverings, from the serving trays to the crystal wine goblets—is exclusively Ralph Lauren Home. And, just like our wines, it's all available to add to your collection. 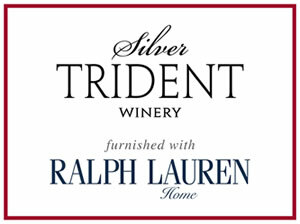 Welcome to the Silver Trident Winery Tasting Home. 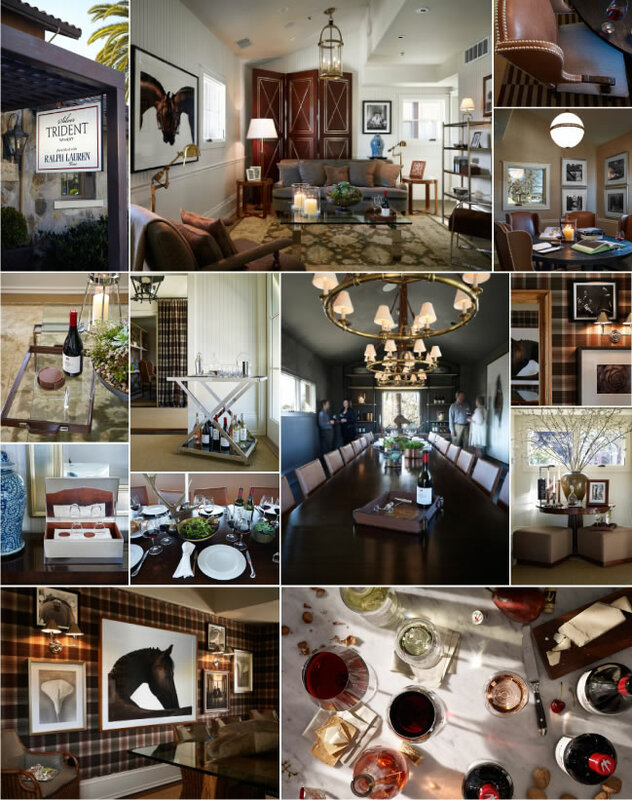 A whole new approach to wine tasting that pairs great wines with world-class home décor. A whole new experience of luxury and comfort. Welcome to your home in the Wine Country. Open daily 11 a.m. – 6:00 p.m.
for parties of six or more. $40 fee per guest includes a tasting of four wines. Our reserve tasting experience is $50 per guest. Refundable with a purchase of $100 or more. for private events by appointment. pairs great wines with world-class home decor.